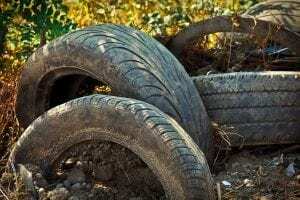 The “Keep Athens-Clarke County Beautiful Tire Amnesty Event” is going on now! Community members can bring up to six tires without rims to the ACC Landfill to be disposed free of cost. Improperly stored or dumped tires create a mosquito breeding ground – and mosquitos are more than just a nuisance. 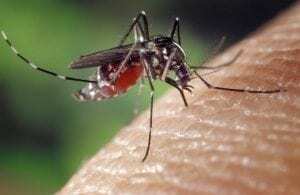 They can carry diseases like West Nile Virus and dengue fever. The shape of tires traps rain water and prevents it from evaporating, and mosquitos love this environment; they have water and collected leaf debris for food in the tires. Tires also trap some heat which speeds up egg hatching and larvae growth. 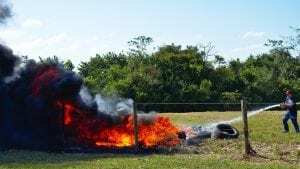 Tires also have the potential to catch fire. Tires are made of oil and chemicals, so burning them produces hazardous gasses like carbon monoxide, cyanide, and more. These gases are harmful to humans if inhaled, and the black smoke can also hurt nearby agriculture and the environment. In addition, tire fires are hard to extinguish, which is another danger if a fire occurs. Dumped tires damage the plants and area where they are dumped. This also invites more litter to the area and decreases property value. In addition, clean-up can be very costly, and the funds to remove the tires/clean the area may come out of local taxes. Typically, tire disposal fees range from $3 to $15. Take advantage of the Tire Amnesty Event to clean out your old tires and help keep Athens clean and safe! If you would like to report illegal tire dumping, call the Community Protection Division at 706-613-3792.